Finish off your party outfit with Glow in the Dark Shutter Shades! 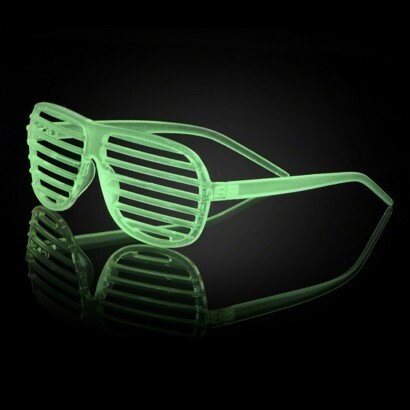 Fantastic fun, glow in the dark Sunglasses appear clear but brightly glow green in the dark and under UV party lighting. Simply expose to daylight or artificial light so that they can charge and then watch them come into their own at night. Blinding!